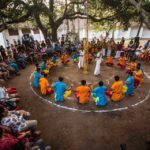 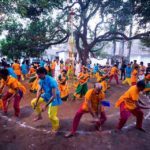 Payyanur Kolkali (literally, stick dance of Payyanur) is a folk art form that is believed to have existed for more than a millennium. 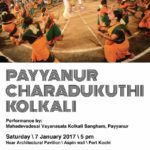 Charadukuthikali is a type of Kolkali popular at Payyanur and nearby areas. 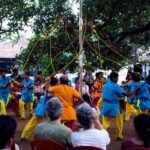 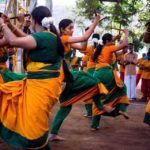 This art form originated from Kalaripayattu, the martial art form of Kerala.The dancers will have the ‘kolâ’ or the stick in their hands attached to a string and as they move around in tune with the song and weave patterns. 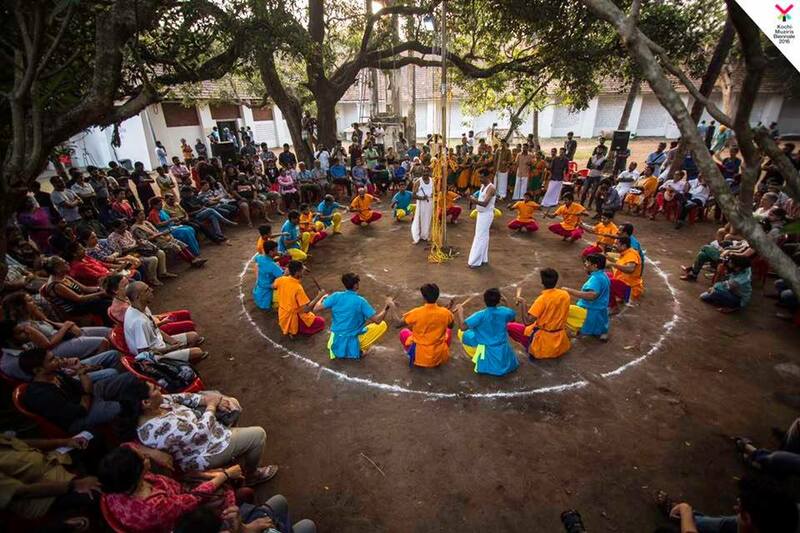 This amazing art form performed by Mahadevadesai Vayanasala Kolkali Sangham, Payyanur.